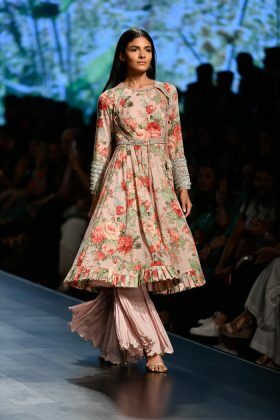 Almost 120 designers participated and were part of a larger canvas that was expected to celebrate various aspects of fashion, from inclusivity to handlooms everything was unique and exceptional. 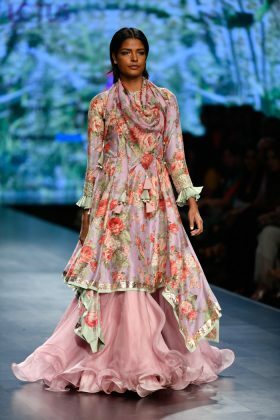 Fashion week also created a new bond with nations like Australia and the embassy of Japan through the medium of fashion. 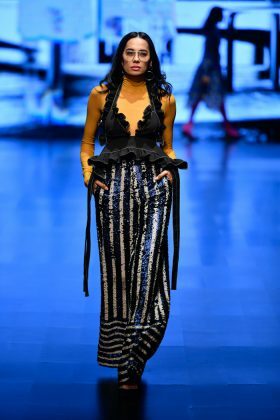 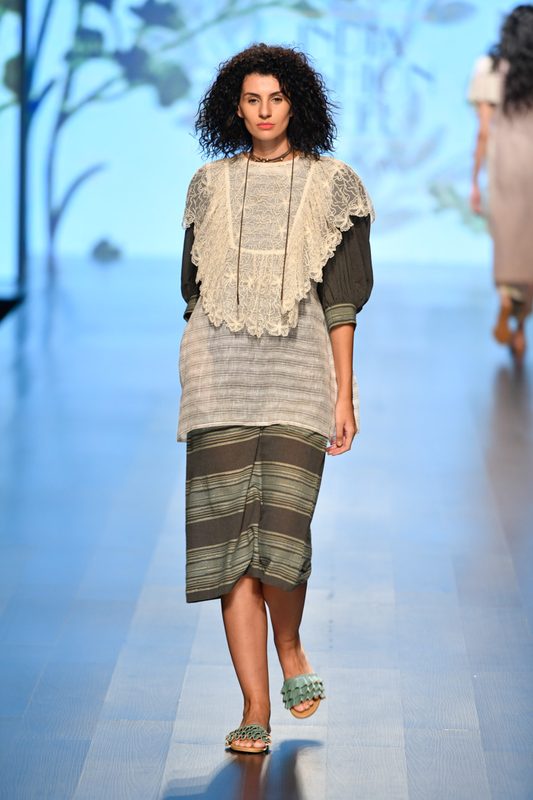 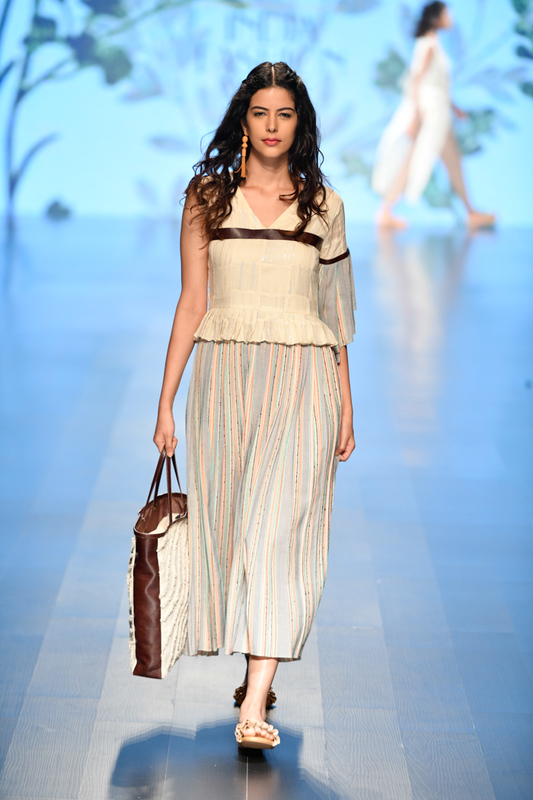 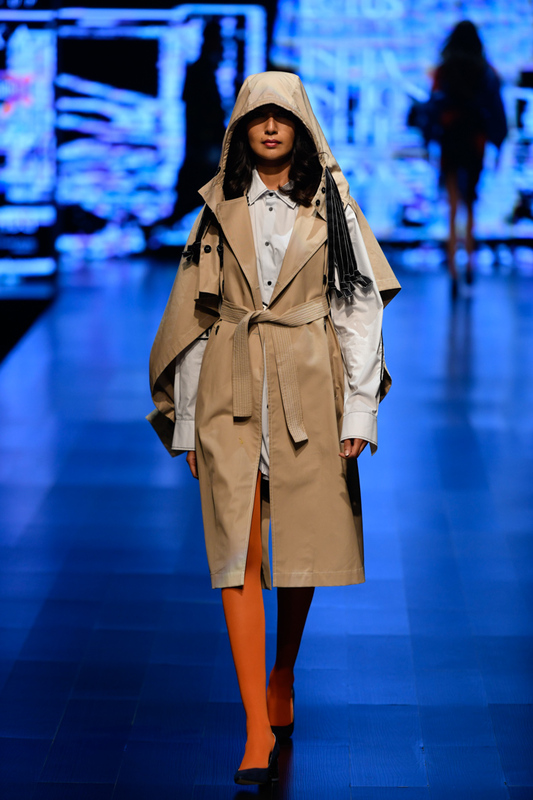 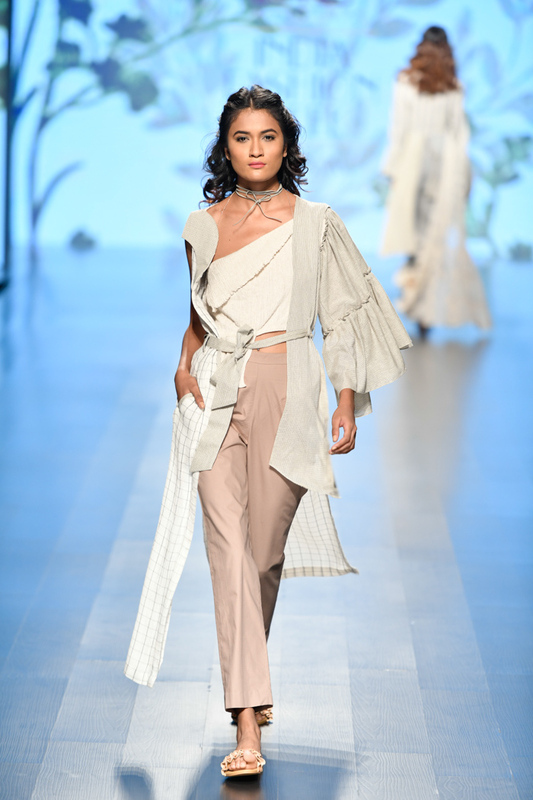 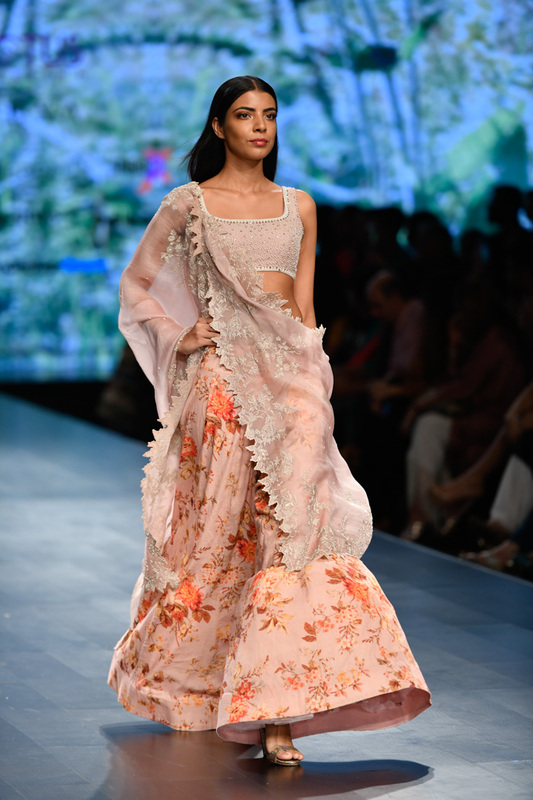 Lotus Make-Up India Fashion Week Day 4 presented all standout shows you need to know about. 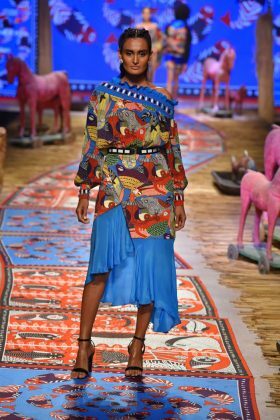 Revealing a deeper mindset of the designers through flattering silhouettes the show left a captivating impact. 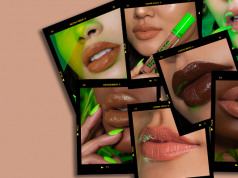 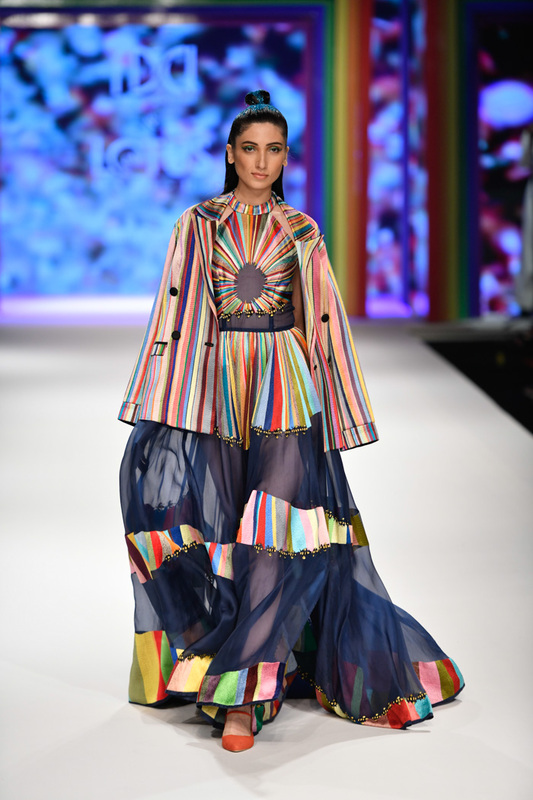 Check out the collection of some of the best designers so far. 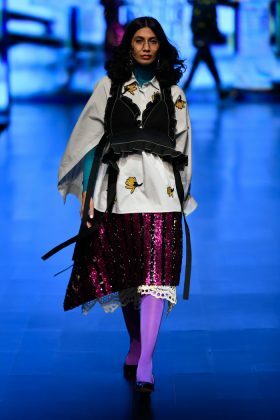 His collection was titled as ‘New-Butch’ for spring/summer 2019. 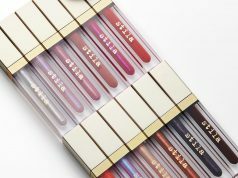 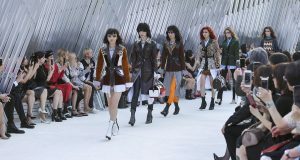 The collection included sassy printed dresses, sequinned skirts and suits, coats and fluid separates. 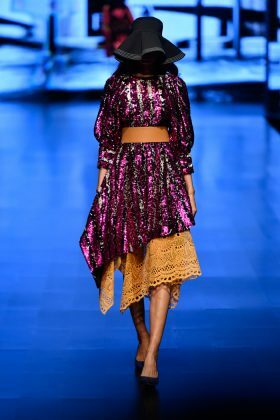 The collection featured bold floral prints in bright yellows, oranges and blues influenced by 80’s trend. 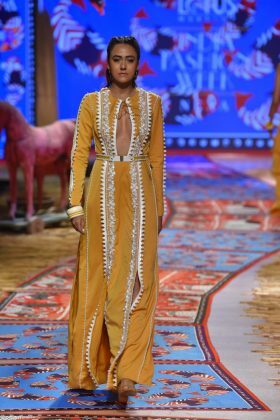 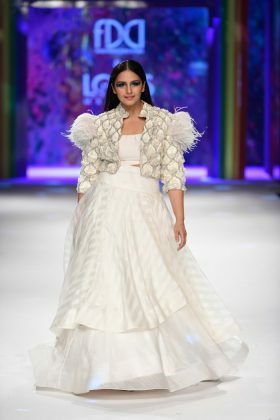 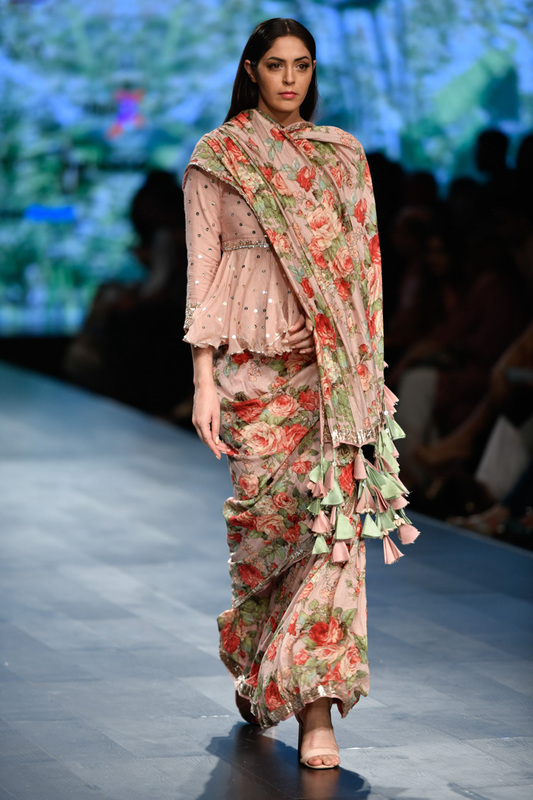 Anushree Reddy collection at the Lotus Make-Up Fashion Week for Spring Summer 2019 was named ‘Vintage Rose’ saw fiercely feminine and elegant haute couture ethnic wear. Floral patterns paired with flouncy details, her canvas of designs is dazzling. Shivan & Narresh’s is one of the most anticipated shows on the schedule. 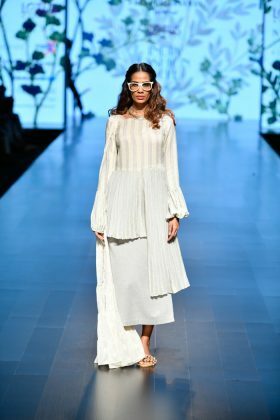 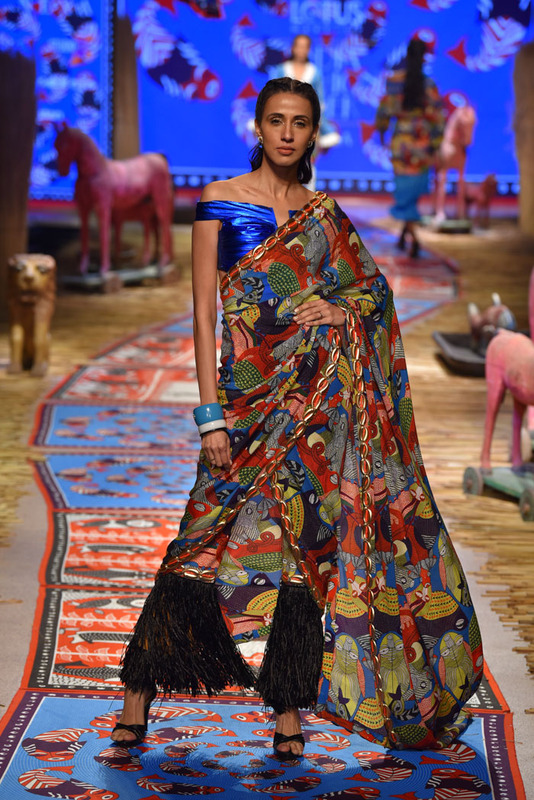 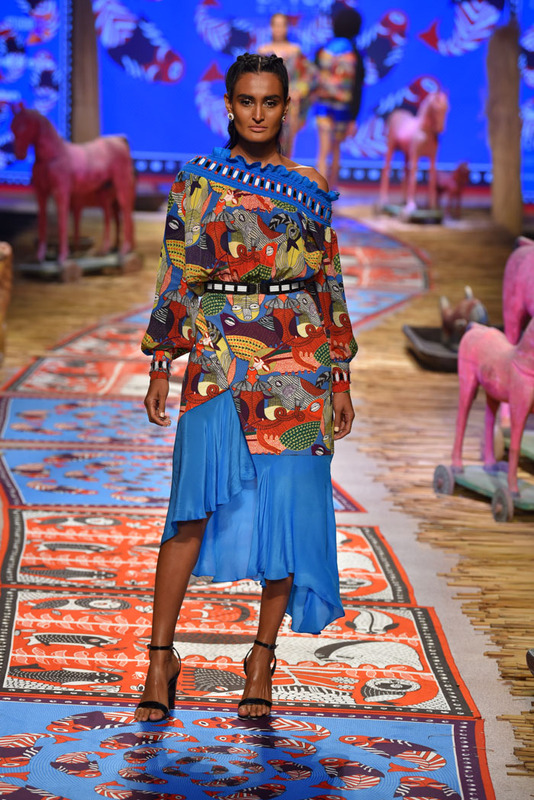 Drawing inspiration from the Gond Art of the Koi tribes, the designer duo presented a collection featuring six new prints this time, which they conceptualised with a Gond artist. 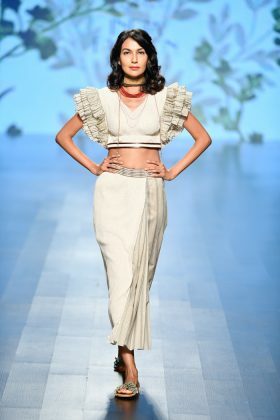 The collection was all outgoing easy with simplicity. 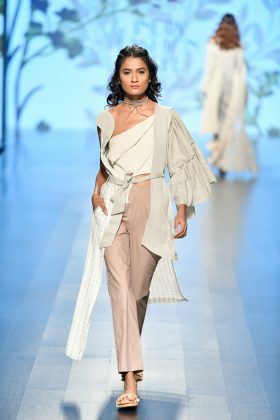 The collection can be classified as immense talent and maturity collection and a deep understanding of the handling delicate cotton. 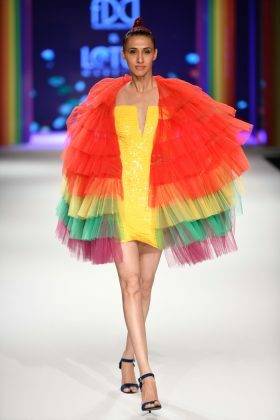 41 designers came together to present the Rainbow Show in support of the abolishment of Section 377. 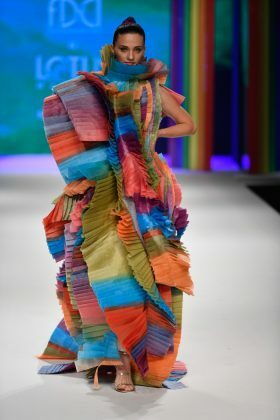 The large set of models also included individuals who identified as a wide spectrum of genders. 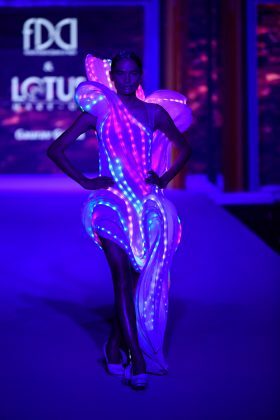  Previous articleSTUNNA – And Rightfully So!